I suppose I'm ruining the surprise, but you'll be getting this in the mail at some point, Mom. 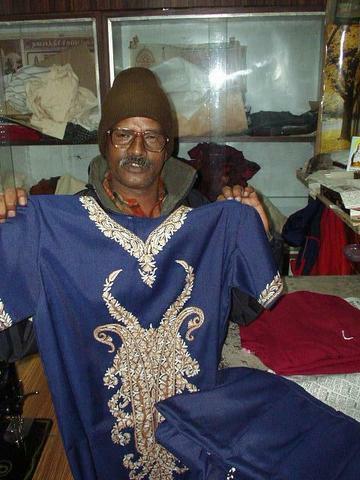 The most fun thing to shop for in India, I think, is handmade clothes. Many Indian clothing stores refer to manufactured shirts and pants as "readymades", as opposed to made by a tailor.